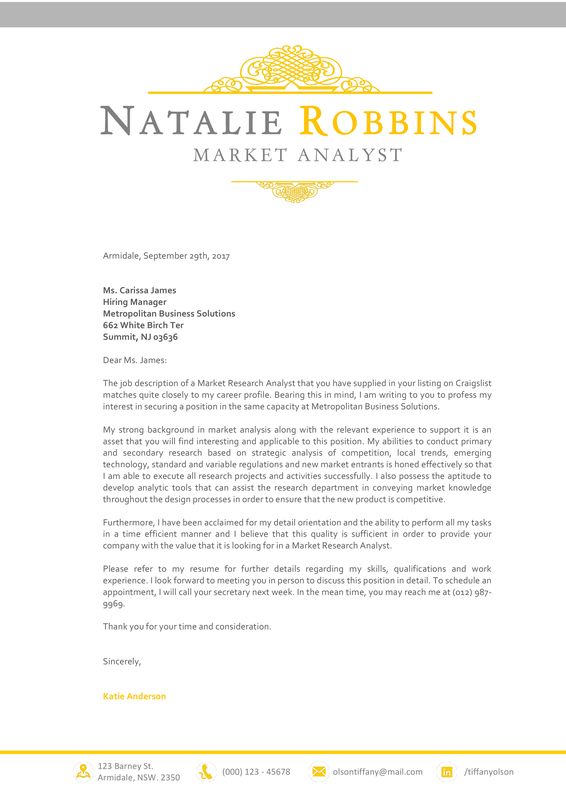 The soft pink, the baby blue, the handwritten name…this resume template shows of your feminine and creative side. 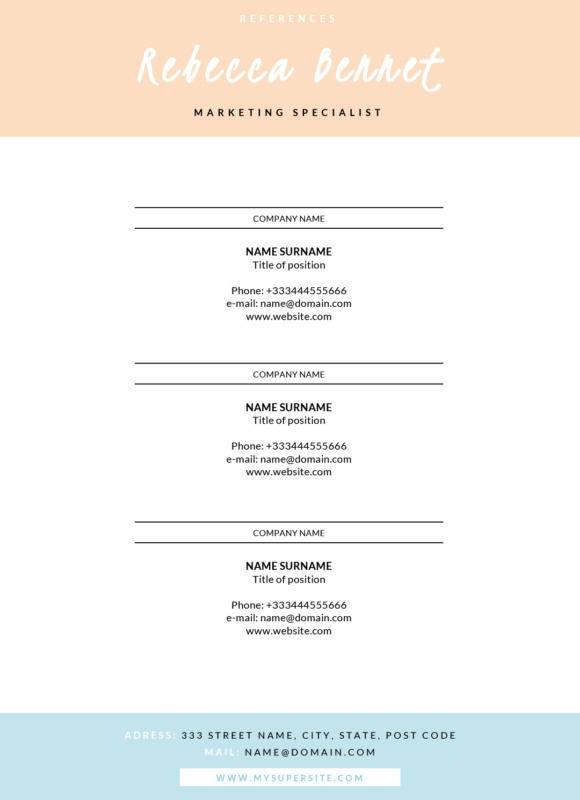 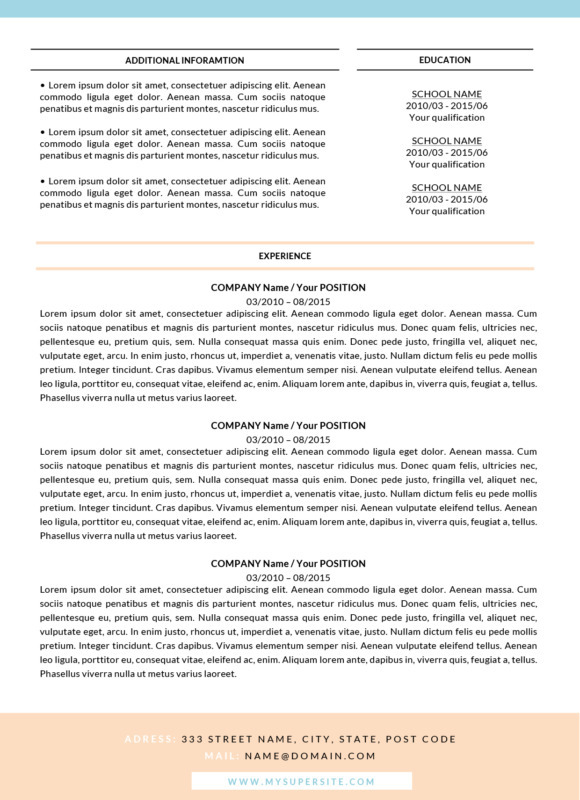 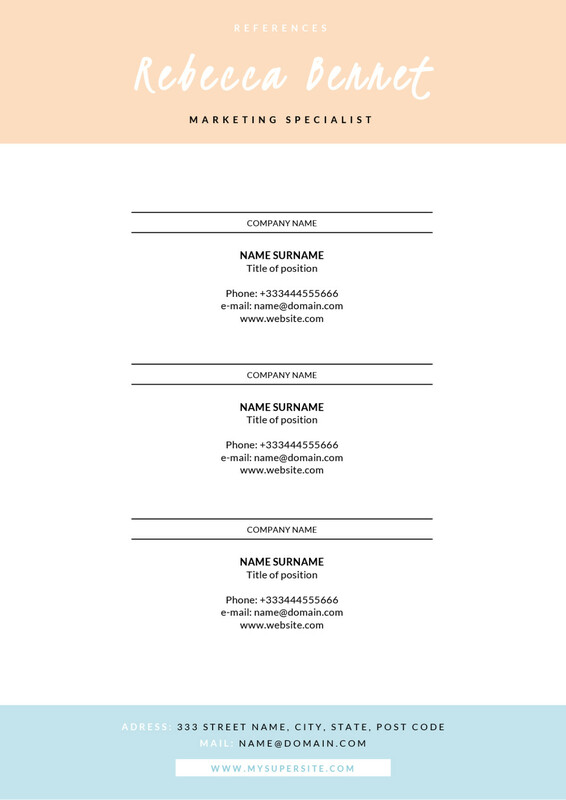 You can use the Rebecca Resume with all sorts of jobs in the creative industry, but if we may make a suggestion…a fashion webshop would love to see a resume like this. 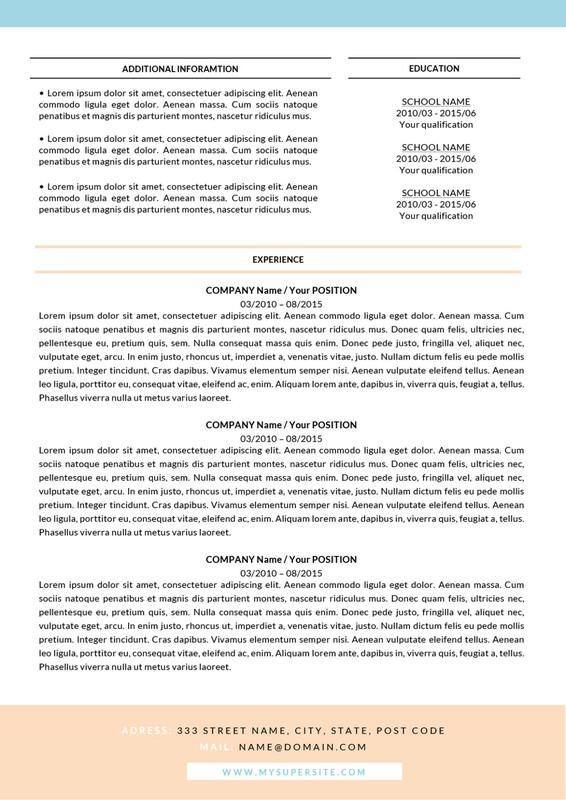 Instructions on how to edit the template are included. 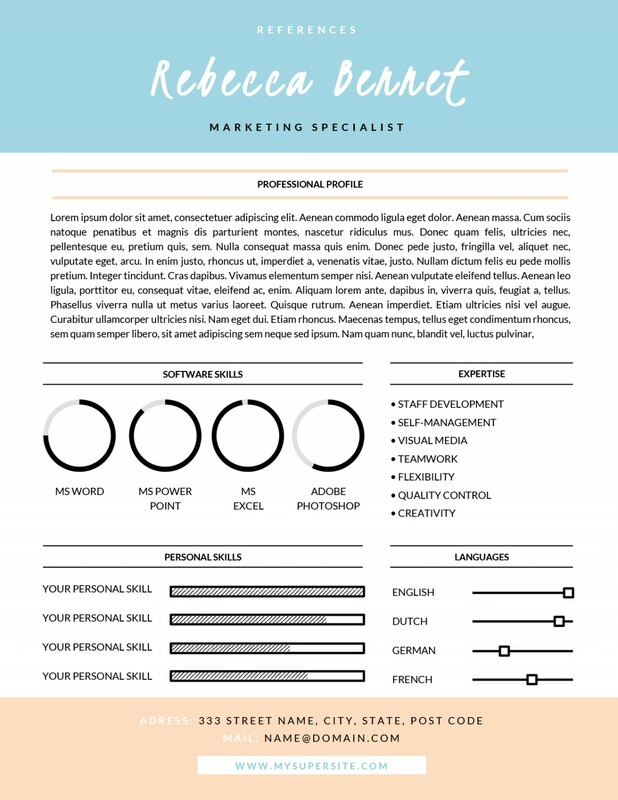 It’s easy-peasy with your Word editor!